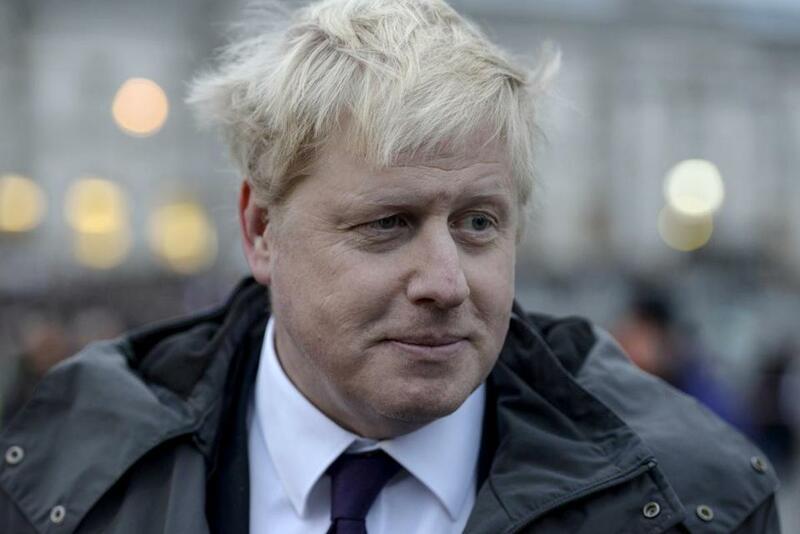 CAMBRIDGE — London’s mayor, Boris Johnson, who rode his city’s 2012 Summer Olympics to an international profile, predicted that local opposition to Boston’s bid to host the 2024 Games would fade as the benefits promised by organizers begin to materialize. “The change will come,” Johnson told reporters after a meeting with Boston 2024 and members of the US Olympic Committee. “As soon as, if and when Boston actually gets the nod from the International Olympic Committee, I think there will be massive enthusiasm, of the kind that we saw in London. Johnson, whose Massachusetts schedule was stunted by the continuing snowstorm, said the roughly $1.5 billion in infrastructure upgrades his area saw probably would have occurred eventually, but that the Olympics expedited them. Ultimately, he said in a separate Globe interview that was monitored by a Boston 2024 volunteer, “euphoria” overtook pessimism within the political and business communities. “Everybody basically did it together,” Johnson said. Johnson called the packaging of the Olympic bid crucial to persuading local skeptics, and suggested broadening the appeal beyond the usual beneficiaries. “You’ve got to talk about what it means for your city, you’ve got to talk about what it’s going to mean for everybody in your city. It’s got to have a social impact, massive social impact,” Johnson said. The London Games helped vault Johnson, easily recognizable with an unruly mop of blonde hair and an equally colorful personality, onto the world stage. The Conservative Party member is considered a potential contender for national office. In the interview, Johnson said Olympics-related investments had helped revitalize areas of London. Monday’s snow delayed Johnson’s arrival at the British Consulate in Kendall Square, where he was greeted by Boston 2024 chairman and Suffolk Construction chief executive John Fish and Bain Capital managing director and Celtic co-owner Steve Pagliuca, who cochairs the group’s fund-raising committee. “The more that we socialize the message about the cost benefits of hosting the Olympic Games and Paralympic Games, we know we’ll turn the crowd around quite a bit,” Fish told a media pack that was dominated by British reporters traveling with Johnson on his six-day US trade mission. The event came after the weather interfered with some of Johnson’s other plans, including an appearance at Harvard University’s Stem Cell Institute. “We were looking forward to the mayor of London’s visit . . . and are of course disappointed that the snowstorm paralyzing the area forced its cancellation,” said B. D. Colen, senior communications officer for University Science. Johnson, who is on a six-day tour of the United States, landed in Boston on Sunday afternoon, before taking a tour of the Rose Fitzgerald Kennedy Greenway and getting schooled on the history of the city’s “Big Dig” project. Steve Annear of the Globe staff contributed to this article. Jim O’Sullivan can be reached at jim.osullivan@globe.com. Follow him on Twitter at @JOSreports.